Here are all our Black Friday ad scans, all in one place. Cyber Monday ads are now at the top. As I add more, I’ll update the list below so check back often! Each link takes you to that store ad on the website. New this year, not only will you be able to see the entire scan, but you’ll be able to pull it up by item and even search for a particular item. Also, where available, if you’ll be doing some online shopping, you can click on the item you’re after and it will take you directly to it on that store’s website, where you can buy it. This is ideal if you’re going to be doing some price comparisons or want to bookmark anything for later. Also, make sure to join our Facebook group, Red Hot Online Dealz, so you can take advantage of any individual deals I post. 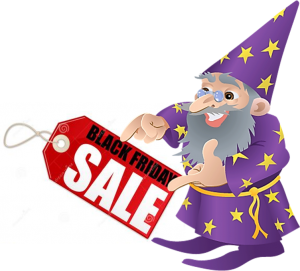 Sadly, not everything on The Coupon Wizards Facebook page will show in your newsfeed so this is another way to keep up. Especially if you’re physically checking the page for new deals. That’s about it. Happy Shopping!